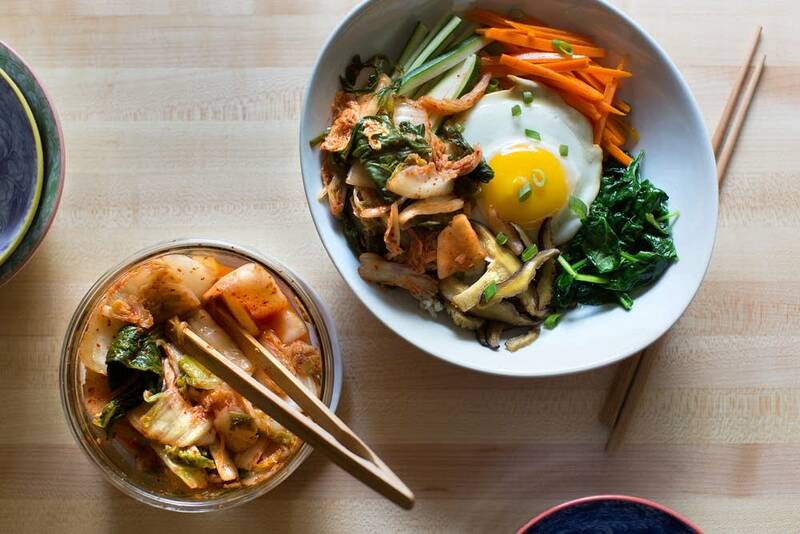 If you've ever eaten sauerkraut, sipped kvass, or enjoyed kimchi, you've enjoyed the fruits of lacto-fermentation, the oldest form of food preservation. Lacto-fermentation occurs when lactobacilli bacteria digest plant sugars and starches and produce lactic acid, which gives these products their tang. • Related: Photos from Sauerkraut Days in Henderson, Minnesota. You can try your hand at pickling or sample the wares of one of the many local businesses selling pickled goods. You'll find the lacto-fermented pickles in the refrigerated section because the cold temperature keeps everything that's alive in them alive. The pickles that you find in the middle aisles of the grocery store, they have been super-heated in a water-bath, or canned, which kills whatever was alive in there. It's run by husband and wife Angelica and Mike Hollstadt, they raise two acres of vegetables on their farm and lacto-ferment what they grow into sauerkraut, different relishes like curtido, which is basically sauerkraut with other spices and veggies, pickled beets, and kvass, which is a lacto-fermented drink. They make the best carrot ginger pickled slaw. Zingy! 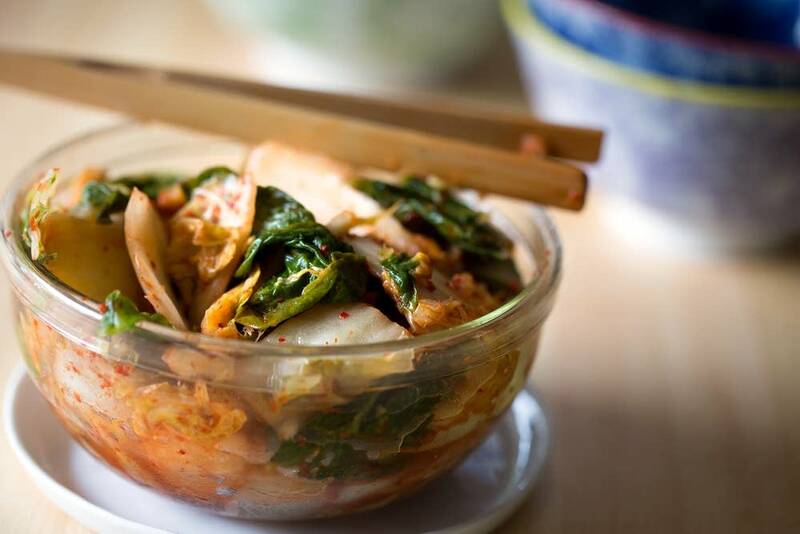 Yon's makes a beautiful really fresh kimchi. Theirs is basically a fermented pickle of cabbage and daikon radish made with garlic, ginger, chili flakes, scallions, and fish sauce. It's just beautiful stuff. You can make an easy weeknight dinner of just a bowl of brown rice, whatever veggies you have on hand, maybe an egg or some leftover chicken. That's good and easy. They make the best half-sour pickles, and a pickled asparagus spear that will make your Bloody Mary really special — or just look and taste good on your plate next to your summer hot dog.